Location is important in respect of guests particularly. Deciding on a location which prioritizes the guests means considering that many of them may already have travelled quite far to attend the wedding, so involving them in a prolonged journey to the reception may be asking too much. Similarly, if the location of the reception venue is a considerable distance, the additional cost of cab fares may be an expensive burden for guests without transport, particularly those who may have already incurred travel expenses to come. If this is the case, venues in a relative proximity to the ceremony venue could be the best choice. 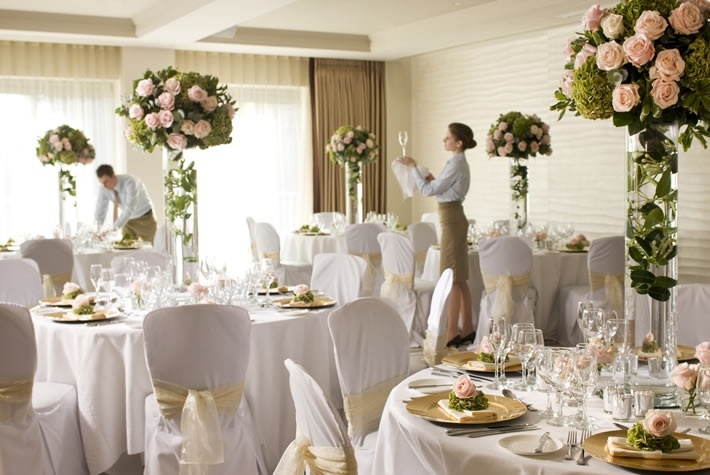 Deciding whether the catering needs to be included as part of the venue’s reception package or not will help in identifying potential venues for the event. If the venue is ideal but expensive, and does not include catering services, then catering will be an additional expense, whereas if the venue’s ideal, expensive but includes the catering, then it’s likely to be a possible option. When choosing the reception venue, it’s always useful to again think of additional facilities that both guests and the bridal party might enjoy. Choosing a hotel venue means that guests and the bridal party have the option of staying the night and maximizing their enjoyment of the reception!